This week PD for Life's R & R is a book that you will find on nearly all of the 'must read in your lifetime' lists, found on numerous Internet book sites. 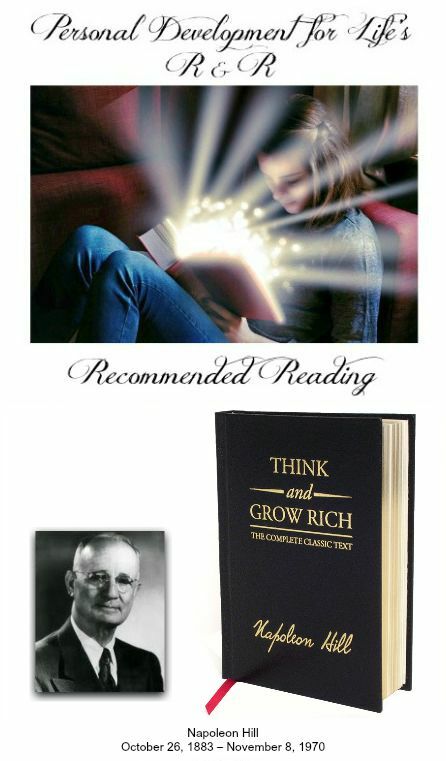 Napoleon Hill's 'Think and grow rich', published in 1937 at the end of the Great Depression. Another of the, you might say old school books but one that is evergreen. The stories, information and tools shared in this book are none other than brilliant and inspiring. I am sure you'll enjoy what this book has to offer as much as I did and the millions of others who have taken the time to soak up its knowledge and apply it. This is a truly inspirational book that is much more than its title suggests. Her new book 'How to Love the Life You Live Now' Available soon!